I’m excited to introduce you to our new Friends of TCOTC Program in which you can choose to support the mission and values of TCOTC with a financial contribution over and above your annual membership dues. 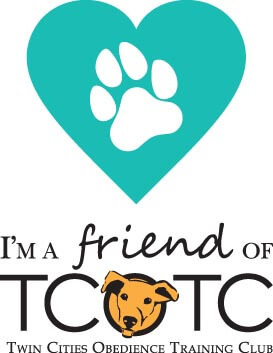 As a nonprofit organization, TCOTC’s mission is to provide opportunities for the community to come together and enjoy a variety of positive and humane training, educational and social activities with their dogs. Our vision is building positive human-canine relationships. We do this with your support and with the support of our exceptional staff and member volunteers, who are incredibly generous with their time and talents. But we know we can do more. By becoming a Friend of TCOTC, you will help us continue to provide high quality training at a reasonable price. You will also support our efforts to continue to grow TCOTC and improve our members’ experience through expanding programs, facility improvements, equipment upgrades and other efforts. Fortunately,our club is growing and our current financial position is sound. I believe the Friends of TCOTC program is a great opportunity to build on our solid foundation for the future. I hope you will consider becoming a Friend of TCOTC today. Visit our Web site to learn more and to become a Friend of TCOTC. Thank you for all that you do. Note: Contributions to TCOTC are not tax-deductible.